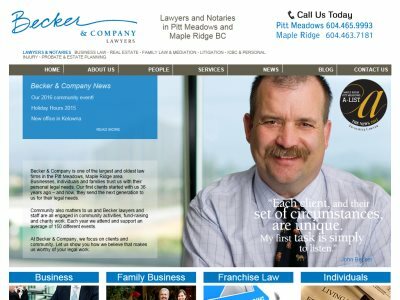 Becker & Company is a law firm in British Columbia with offices in Pitt Meadows and Maple Ridge. Over 36 years experience. Areas of Practice: Business Law, Real Estate, Family Law & Mediation, Litigation, ICBC & Personal Injury, Probate & Estate Planning.